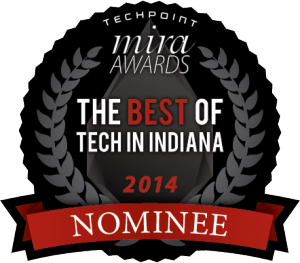 TechPoint, Indiana’s technology growth initiative, has announced the nominees for the 15th annual Mira Awards presented by BKD CPAs & Advisors. Mira -- Latin for miracle and a variable star thousands of times brighter than the sun -- represents the best of tech in Indiana each year. TechPoint received a record-breaking 170 applications, which is a 40 percent increase in applications over just last year, and nearly half of the applications this year came from first-time companies, schools, organizations and individuals who had never before entered the Mira Awards. Mike Langellier, president and CEO of TechPoint, said that the dramatic increase is another positive indicator of the strength and momentum of Indiana’s tech sector. Twelve homegrown Indiana tech companies have been acquired or gone public since 2007, creating $4.5 billion in market value and more than 3,700 Indiana jobs. More than 40 independent subject matter experts, who serve as judges, evaluated and scored the 170 applications, which determined the official 2014 class of Mira Awards nominees. Nominees will deliver presentations and answer questions in-person with one of the independent judging panels later this month, and then the judges select the winners following their deliberations. In addition to the competitive Mira Awards categories, two special industry recognitions -- TechPoint Foundation for Youth BridgeBuilder Award and TechPoint Trailblazer in Technology Award -- are selected by the TechPoint Foundation for Youth and TechPoint boards of directors respectively. Last year, former Indianapolis Colts Pro-Bowl offensive tackle Tarik Glenn and his wife Maya received the Bridge Builder award, and the Trailblazer in Technology Award was presented to Dr. Donald Brown, chairman, president and CEO, Interactive Intelligence. Winners will be announced at a “Gatsby-themed,” black-tie awards ceremony and gala featuring an interactive dinner, live music and an after party on Saturday, May 3, at the JW Marriott in downtown Indianapolis. TechPoint is describing the event as a mash-up of “Roaring Twenties” energy meets the state’s vibrant 21st Century startup and tech ecosystem. TechPoint added an after party with a live band to the event last year along with other fun, energized touches and enhanced production values that helped draw the largest crowd ever -- 1,000 attendees -- and by all accounts the most fun Mira Awards in recent memory. Early-bird and “Under 30” tickets are on sale now at www.techpoint.org. Sponsorship opportunities, such as platinum, gold or silver level packages that include group tickets, are also available. Creative sponsorships including ice sculptures, live entertainment, specialty drinks, candy and cupcake buffets and more are possible by contacting Annie Grinstead at annie@techpoint.org or call 317-490-4727.